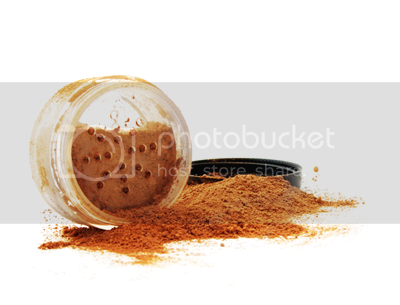 Mineral makeup is the latest trend in cosmetics. It is sold from department store counters, championed on late night infomercials and touted in fashion magazines. How do the various brands differ, and which one is best for you? How does mineral makeup differ from traditional products? Let's take a look. Despite different brand names and marketing strategies, most mineral makeup has remarkably similar ingredients. Some commonly used minerals include micronized titanium dioxide, micronized zinc oxide, iron oxide, silk mica, and hydrated silica. Micronized titanium dioxide, a common ingredient in sun block products, is particularly suited to protect skin from damaging sunlight. This white mineral's crystalline structure naturally reflects and defuses the sun's harmful rays. Micronized zinc oxide works in combination with the micronized titanium dioxide to reflect the sunlight's dangerous UVA and UVB rays. Iron oxide is found in nature in red, orange and yellow hues. These pigments are blended into flesh tones for mineral foundations. Silk mica and hydrated silica soften the mineral compounds for use on the skin. Silk Mica gives mineral makeup a smooth texture, and hydrated silica binds the minerals to make them less messy. Individual brands may add secondary ingredients, such as vitamins, extra skin softeners or stronger pigments to neutralize skin tone. Mineral makeup can counteract a host of familiar challenges. People prone to allergies or with sensitive skin will find mineral makeup contains no irritating dyes or perfumes. They do not use talc and other fillers that can be harmful to the skin. The acne-prone will find mineral makeup is organic, hypoallergenic and oil free; it will not clog pores like some conventional cosmetics. Unlike traditional cosmetics, mineral foundations can provide sheer to full coverage. A light, sheer finish can be accomplished by moving the applicator brush in small circles on the face. Mineral makeup can also provide a more opaque texture if applied in layers with a damp sponge, much like you would apply liquid foundation. Fortunately, the consistency of mineral makeup gives coverage without the thick, unnatural, pore-clogging consequences of traditional liquid foundation. Although mineral makeup has been a fixture in high-end department stores and specialty cosmetics shops for several years, a handful of more economical options are now on the market in drugstores. Consumers can expect to pay $25 for upscale mineral makeup brands, while drugstore mineral makeup from Neutrogena and Physician's Formula range from $9-$12. With so little variation in actual ingredients, the difference in brands is often limited to marketing strategy. Many brands cater to a specific skin type. For example, Mineralogie claims their mineral makeup is suited to those with oily skin, because it does not include minerals that give other brands a shimmery finish.